Air-layering propagation has long been used by skilled gardeners. Now Rooter-Pot makes it easier for home gardeners to achieve the same results. In just a few weeks, you can have big, new specimen plants on their own roots. Rooter-Pots clamp around vertical stems from 1/4" up to 1" thick. You make a shallow cut around the stem and peel back the bark, dusting with some rooting hormone. Fill the pot's water reservoirs and close the hinged halves round the stem. 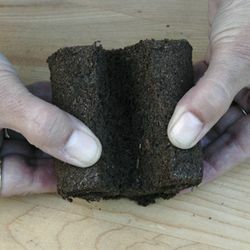 Then pack the pot with moistened peat moss, potting mix or our coco-fiber bricks. Place the lid on top and latch into place. Now you have the perfect conditions for new roots to form. Check progress every week or so and keep the reservoirs topped up with water as necessary. When you see roots have formed, you can cut completely through the stem below the Rooter-Pot and transplant your new specimen into a larger pot. Rooter-Pots are made in Spain from durable plastic and can be re-used repeatedly. Masses of roots grow out from the stem, inside the Rooter-Pot. Use these for stems from 1/4" up to 1/2" diameter. 4" high x 3-1/4" wide at top. Don't forget to order the Q-Plug inserts (sold separately). Download our Rooter Pot Instructions PDF here. How to use the rooter pots. The directions on how to use the rooter pots was kind of complicated. 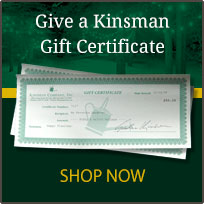 Is there a simpler direction on how to use it? Owner Response: If you scroll all the way down to the bottom of the Description information on the product page, you'll see a link where you can download a PDF of instructions that are easier to understand. I have been using the 4/pack size propagation sets and fillers as well and have had successful plants with gardenia, jatropha(2)bush, camellia. it made making a larger plant than trying to do as cuttings especially with the camellia as is starting buds! Remember the choice site will grow larger as well as rooting are coming in 3 mo. 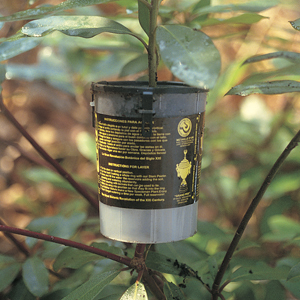 I've used the rooter pots and associated plugs previously and found them to be a quick rooter for shrubs. Opening these things is ridiculously difficult. Don't know why. I have better luck with Stretch n' Seal by Glad Corporation. Ten times faster and easier. The best Air layer pots have yet to be invented. This is particularly true for branches in the 1/4 to 1/2 inch diameter range. Might try the smaller version, though it looks too small to hold any quantity of media. Also a medium with greater ability to 'hold' itself together would be a boon to have. I believe I would have done better to simply ignore the instructions as they do not match the product...frustrating...I did receive a return call from a customer service rep to help match the instructions to the "pot. They were very nice. Wish me luck! I found the standard rooter pots didn't work for the plant I wanted to root because it is a weeping style bush and I couldn't find an upright stem. Also the directions were a little confusing about closing up the pot. I'm going to try it on a different plant and see if I am successful. Just used this rooter pot on my rubber plant. Easy to use, I'm hoping for good results.